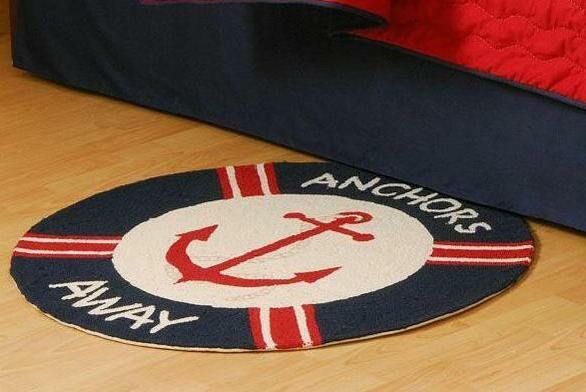 Anchor's Away! 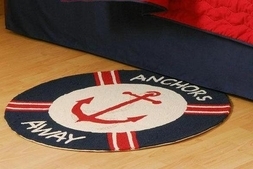 This nautical-inspired rug is great for the kitchen galley, beside your bunk, or even for a kids' room! 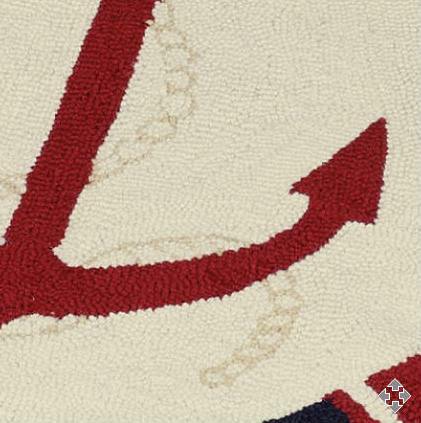 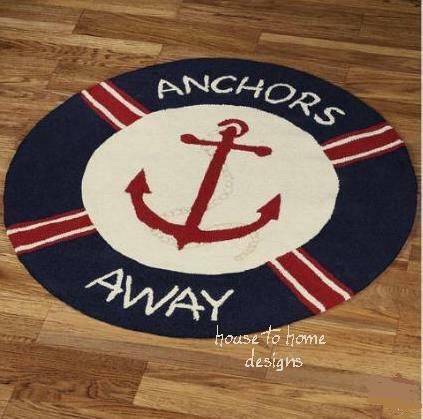 Features plush hooked wool with a ship's anchor in the center, and surrounded by a life preserver design with the words "anchors away" in navy blue, red and white.